It's obvious to everyone who reads my blog that I am in love with the sea...and I cannot imagine living any place else. And for some weird reason I am fascinated with photos of bicycles. 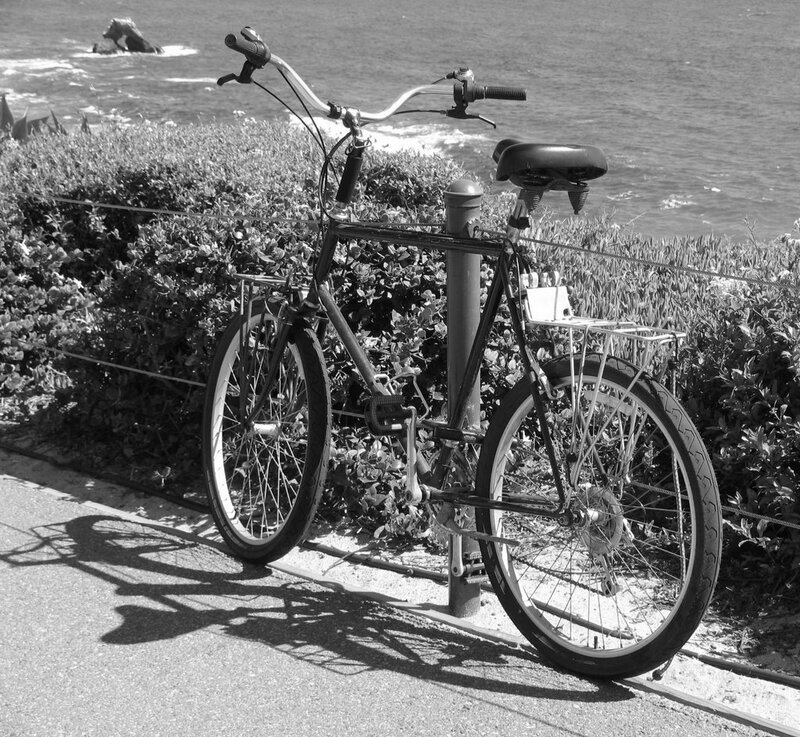 So, when you combine the sea with the bicycle I am happyhappyhappy! I am experimenting with black and white photography lately...and love the timeless quality it reflects. 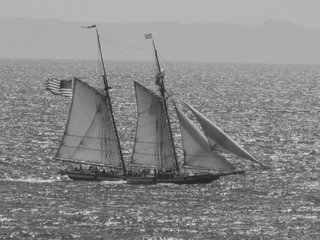 This beauty is The Lynx and she is a replica of a pirateering vessle. You can catch her at the Nautical Museum in town and climb aboard for a history lesson at sea with a reenactment of a battle. It's always a kick to watch the tourists on land JUMP when she shoots her cannon! 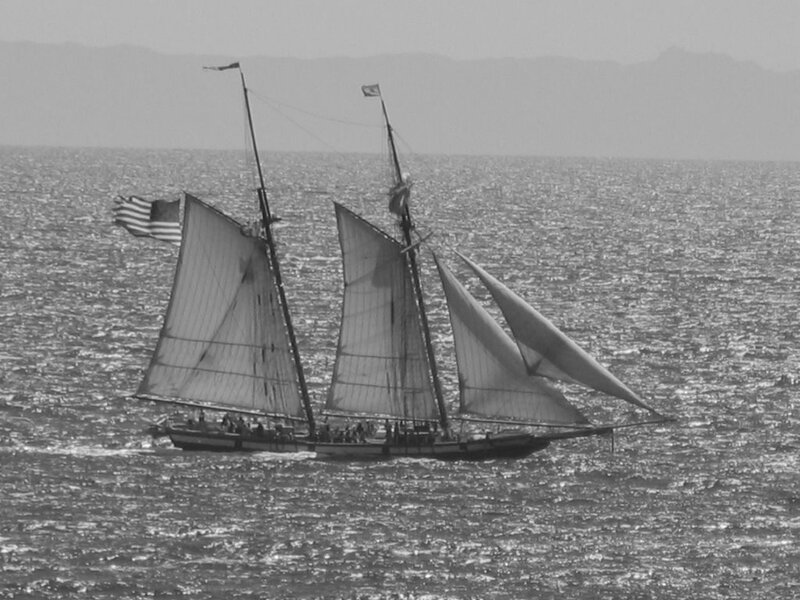 Santa Catalina looms in the background - and again - I wanted this shot to look 'historical' like the sailing vessle herself and captured her in black and white today. Last week I was wandering down the street (as always with my camera slung over my shoulder) and it was during our "May Gray" days...I wasn't really expecting to find anything worth capturing...when all of a sudden the shot above appeared. 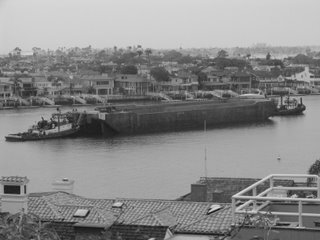 I LOVE TUG BOATS - and I don't often see them in our harbor (Newport Harbor)...I have no idea what is being tugged and pushed...but it captured my attention until I could no longer see it in the misty gray harbor. 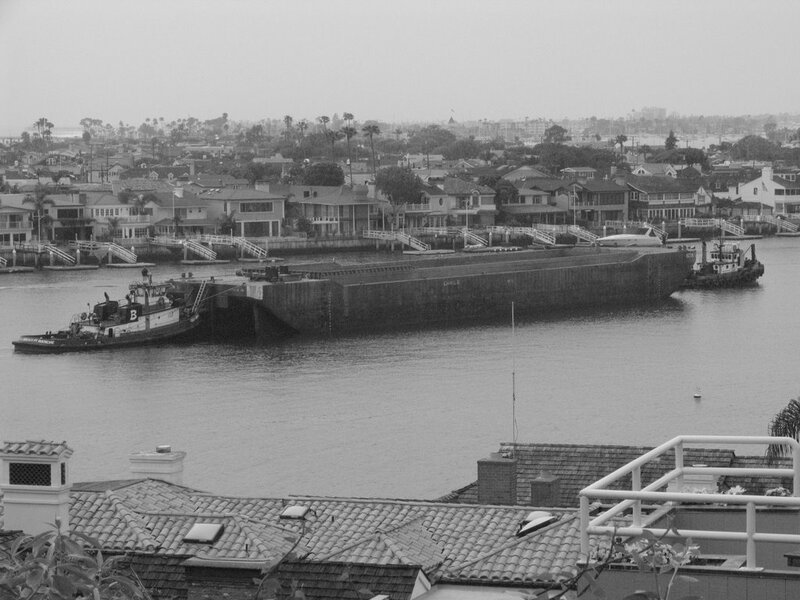 In the background lies Balboa Peninsula. What is that thing in the harbor!? And why didn't you tell me about it? Lovely photos once more. I too am a huge fan of the water.